It comes as no surprise to learn that the illustrations for Land Below the Wind were awarded runner-up in the prestigious Noma Concours for Picture Book Illustrations from Asia, Africa and Latin America – they are simply stunning, densely decorated and teeming with flora and fauna from artist Awang Fadilah’s native Sabah, East Malaysia, on the island of Borneo. The book takes its title from Sabah’s soubriquet and the text perhaps misses a trick by not going into why it is poetically so named. In fact, the text is minimal leaving the illustrations to provide the essence of the narrative. 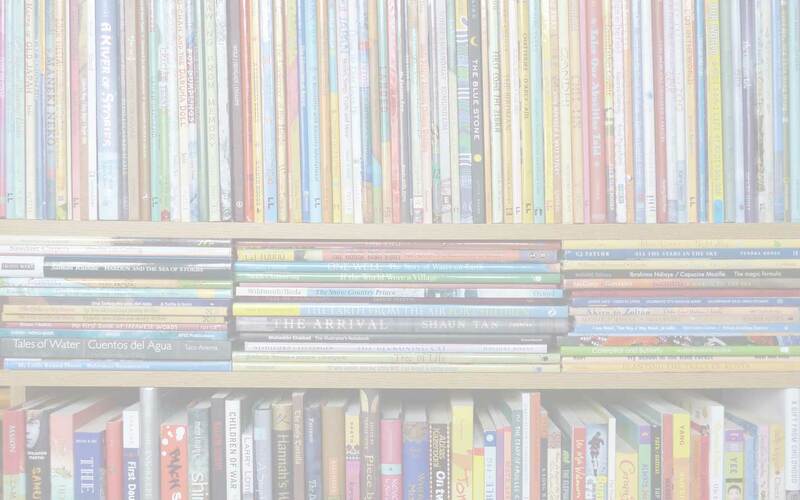 The first-person narrator is a boy who waves out to readers at the beginning and end of the book. He describes his life in his village. He lives with his sister: she and her friends sell their crafts as well as produce at the local market; ‘I’ and ‘my friends’ hunt and fish; they all enjoy dancing to traditional music. However, despite the child narrator, there is a definite adult stance in the awareness of the activities portrayed as cultural and the importance of their preservation. Whilst this is certainly worthy of consideration, it might have been better expressed in an afterword, as it risks setting up a barrier for spontaneous empathy in young readers through a tendancy towards didacticism. That said, Land Below the Wind offers attractive insight into a traditional childhood in Sabah. There is so much to be found in the illustrations that it would certainly be worth the efforts of any adult sharing this book with a child/class to connect with the text through engagement with the artwork. Indeed, readers are invited to do so through the vignettes that illustrate the text pages (and I like that the muscial instruments are usefully and unobtrusively labelled), as well as via the challenge at the end to scrutinise the illustrations and find certain animals, sea-creatures and plants. The effective monochrome and technique of adding small perpendicular lines inside almost every outline would make an appealing and accessible art project at home or in class too. Take a look at Land Below the Wind on line. Awang Fadilah, Children's and YA Books from Malaysia, children's books set in Malaysia, Land Below the Wind, MWD book reviews, Picture Book Art (Malaysia). Bookmark. How is it possible to name his book (which is stunningly beautiful) with the title of the book written decades ago by Agnes Newton Keith? I feel this is disrespectful & unnecessary for an artist who appears otherwise original. 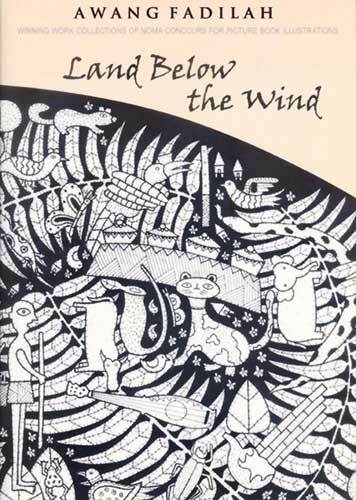 I think both authors have taken the title ‘Land Below the Wind’ because that is the nickname for Sabah. They are both connected by their books’ setting – and I don’t think this is the only instance of this kind of repetition of book title down the years.